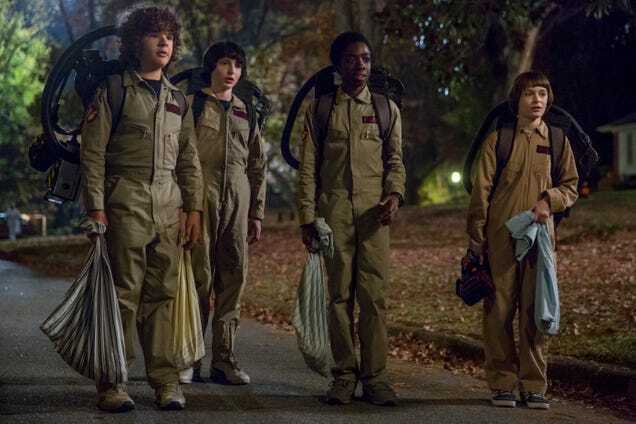 Most of your Stranger Things season two binge-watch concerns have probably centered on having adequate sustenance ready for the October 27 premiere date, but the show’s creators want you to make sure your TV is set up to properly render the nostalgia-glazed images. Matt and Ross Duffer tell Vulture, among many other things about the show, that it’s best experienced on the kind of set you would have watched an edited-for-TV version of E.T. or Close Encounters Of The Third Kind or some other Steven Spielberg movie. According to the Duffer brothers, your beautiful 4K flatscreen might make something like Doctor Strange look great, but it’s totally killing their vibe. To avoid having Stranger Things season two look like “garbage” on your TV next month, Matt says “the key thing is to turn off anything that says ‘motion.’ ‘TruMotion.’ ‘Smooth motion.’” The producing brothers didn’t touch on the display for internet-connected devices like smartphones and laptops, presumably because they could only handle one disappointment at a time. What if Stranger Things got much, much darker next season?